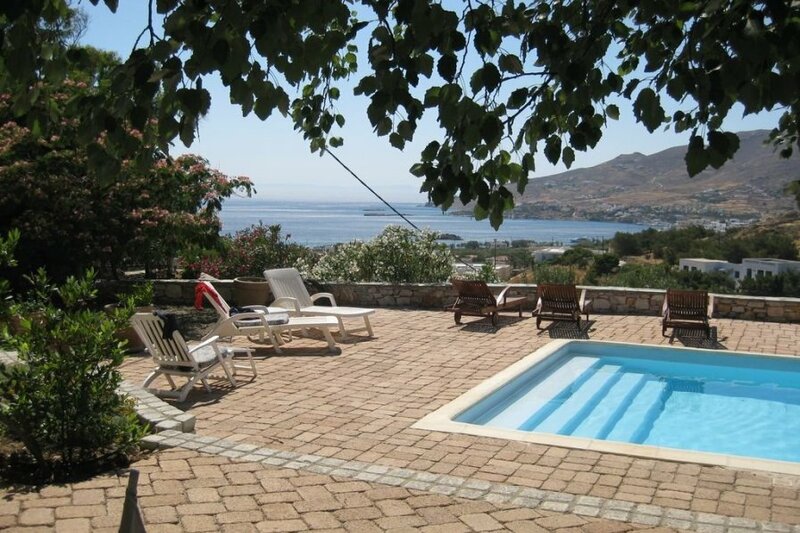 The property sits in a large and mature garden with great views to the southwest towards the bay of Foinikas. A covered and cool front veranda is the ideal spot to eat breakfast and then relax in bamboo chairs while out of the morning sun. The vine-covered back patio with its pots of flowers and sweet smelling jasmine adjacent to the kitchen is the perfect romantic place to have dinner. The pool and its large poplar tree and covered barbecue allows you to enjoy the garden, the local countryside with its majestic mountains and limitless blue sky while sipping a cool drink and enjoying the grilled food.